Juneau Projects were formed in 2001 in Birmingham as a collaborative practice by Ben Sadler and Philip Duckworth. Their work engages with people and folk histories, bringing together live work and installation in new interactive combinations. In early performance works they used mobile phones, wood chippers, microphones and cd walkmans, often destroying them to make unexpected sounds. In their gallery shows their work has developed to encompass video, installation, sculpture and painting, featuring an array of natural imagery such as animals, birds and landscapes, which seek to express how we think and feel about nature in the 21st century. Their first solo exhibition took place at the Showroom London in 2004, followed by exhibitions at fa projects, London, as well as a longstanding relationship with Grizedale Arts, Cumbria, which has lead to projects in the UK, USA and Japan. They were also included in the British Art Show 6 organised by the Hayward Gallery in 2006. Juneau Projects worked closely with students at Kingston University to develop their Fellowship project. 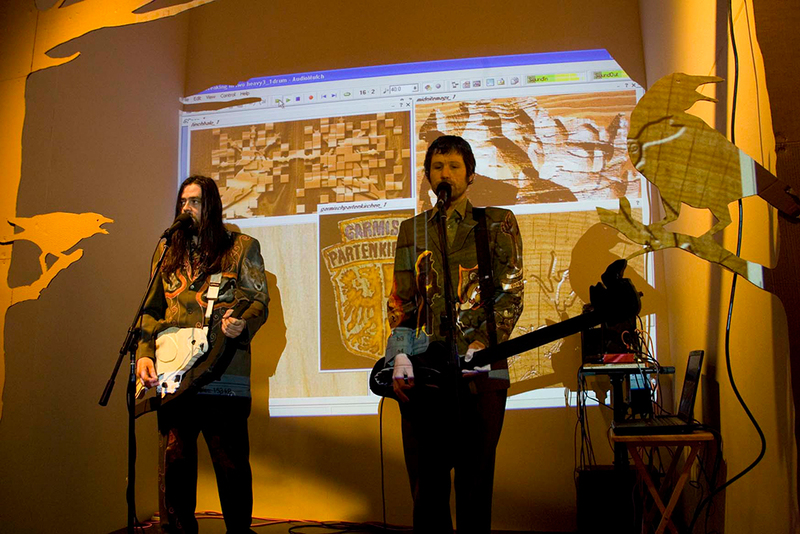 Their final exhibition converted the Gallery itself into a live gig-venue for the full eight-week run of the show – equipped with two stages, a green room and bar area all customised with corrugated cardboard decorations – during which time the students themselves were invited to stage their own live events programme of music, performance, quizzes, reading groups, etc.